Product prices and availability are accurate as of 2019-04-18 09:19:40 UTC and are subject to change. Any price and availability information displayed on http://www.amazon.com/ at the time of purchase will apply to the purchase of this product. 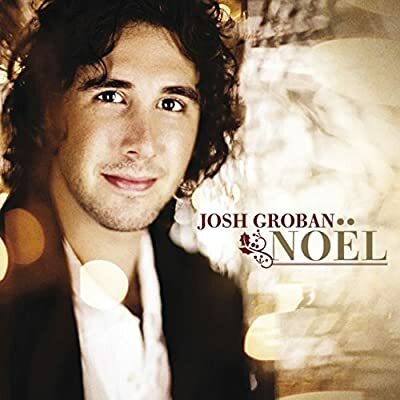 Bringing Josh Groban’s majestic yet intimate voice to Christmas music is truly a gift this holiday season. The young Adult Contemporary star’s fourth studio album brings together the traditional such as Silent Night with the contemporary such as I’ll Be Home For Christmas and the new, Thankful. Featuring duets with Country’s Faith Hill and R&B’s Brian McKnight, and inspirational music’s master choir, the Mormon Tabernacle Choir and produced by the illustrious David Foster the album’s wide appeal promises that a timeless Christmas music classic will be beneath the tree this year.